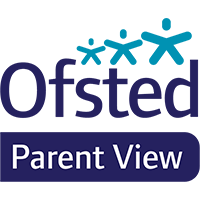 During 2017 – 18 we are seeking to consolidate and enhance the school’s good quality of provision by striving to secure excellence in as many aspects of our work as possible. In doing so, we intend to clearly articulate what excellence is and ensure that this is explicitly shared with the relative stakeholders, modelling and illustrating wherever possible. In turn, it is our commitment to insist on this articulated excellence, from adults and students alike, ensuring that we challenge and support wherever it is necessary to do so. Leading and modelling the very best in terms of demeanour, interactions and the preparation of our work. Having a positive mindset and positive moodset. Embracing accountability by being highly reflective. Getting things done properly and on-time. Demonstrating our duty of care for each other. Every person, every day, every lesson. Being at our best because students deserve this. This is about what we do and how it matches to what we say. It is about being honest. It is what we do when no-one else is looking. For ourselves – an absolute commitment to improving one’s practice. In our outlook and how we approach challenges and the tough stuff.